It’s been a while that my family had been to Pho Lan, simply because the parking is difficult. We decided to give it a try a Saturday evening as we came out early for dinner, around 5PM. We were surprised to see the parking lot was quite empty at that time. 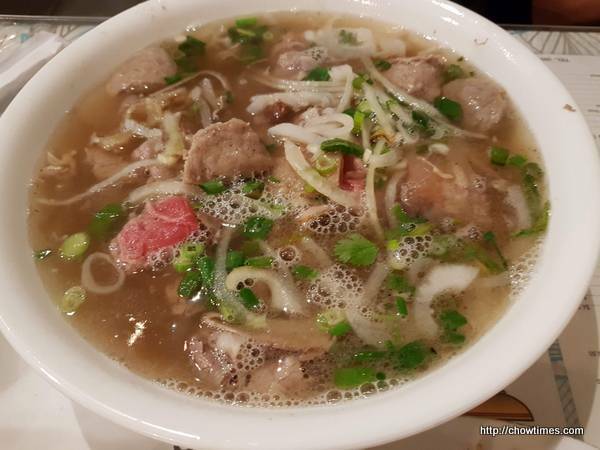 Arkensen ordered his usual #7; Pho Lan Special Beef Noodle Soup. It has rare steak, well done flank, beef balls, tendon and tripe. I love the huge bowl because I got to tax his soup. 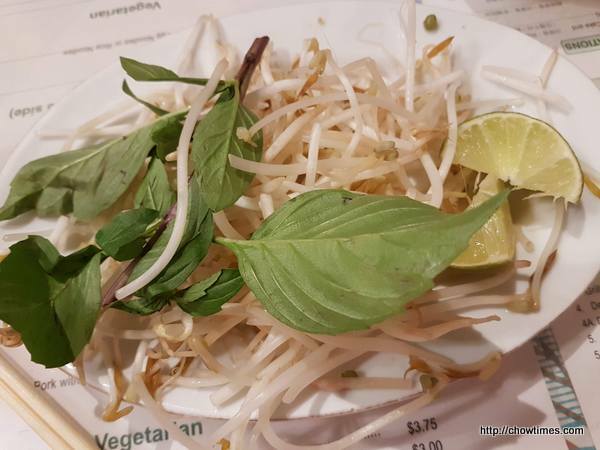 The regular complements; bean sprouts, basil and lime for the pho noodles. 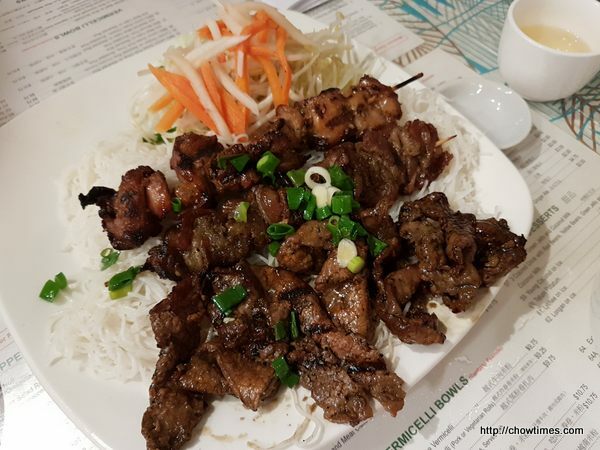 Ben and I shared a plate of 3 skewers of beef/pork or chicken on vermicelli. We had one of each, beef, pork and chicken. There were a lot of meat. The meat were lightly charred which added caramelization to the meat. 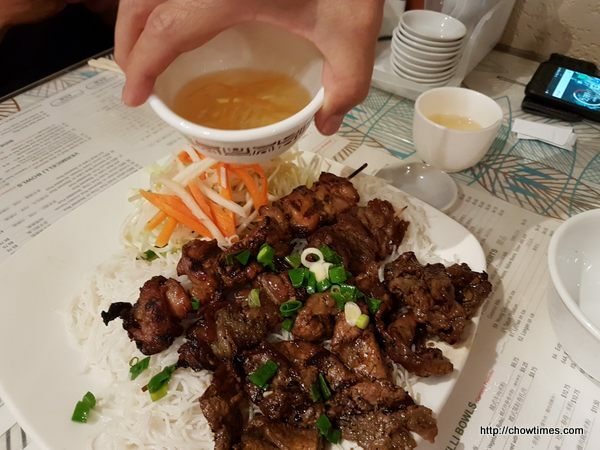 The vermicelli and salad were seasoned with some fish sauce. Nanzaro got his favaourite Bun Bo Hue which I forgot to take a photo. The meal came to CAD41 including tax and tips. Pho Lan accepts cash only.